This fabulous wordless picture book is the story of a young boy’s delight in the snow, the snowman he builds and their magical adventure. A classic Dr. Seuss story with rhymes and his signature illustrations, this tale depicts the story of the unhappy Grinch and his mischievous and evil ways to steal Christmas from the residents of Who-Ville. Ebenezer Scrooge is a miserly old skinflint who hates everyone, especially children… But at Christmas three ghosts come to visit scaring him into mending his ways. 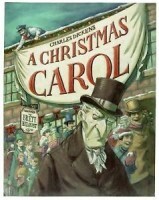 Scrooge soon discovers that friendliness brings its own reward! 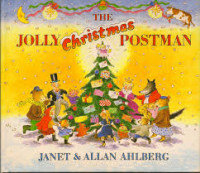 An interactive Christmas book, the Jolly Christmas Postman delivers letters to several famous fairy-tale characters such as the Big Bad Wolf, Cinderella and the Three Bears. Containing letters, cards and more, this wonderful book lets children discover what the fairy-tale characters are sending to one another for Christmas. 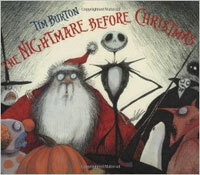 With a different flavour to the others in my selection, this book puts a creepy twist on the Christmas festivities. With plenty of freakish presents and a skeleton dressed in Santa Claus clothes, it makes for a fabulously spooky holiday story! Which one is your favourite Christmas book? If your favourite isn’t listed here, let me know! 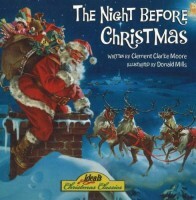 I would love to get a new Christmas story book for our shelves!